Nearly 900 workers fell to their death in 2017 — the most since the U.S. started tracking such accidents nearly three decades ago. “It’s the No. 1 killer,” said Scott Earnest, deputy director of construction safety and health at the National Institute for Occupational Safety and Health (NIOSH), a federal research agency focused on worker health and safety. Experts say the construction boom following the recession is a possible factor behind the rising death toll because a worker shortage in the industry has attracted more inexperienced workers to the labor force. NIOSH and OSHA have tried to attack this problem through an aggressive public awareness campaign. Since 2012, the federal agencies and a network of industry trade groups have encouraged companies to participate in job site “stand-down” events, where employees can receive fall-safety training beyond what is already required by law. In 2018, nearly 1 million workers received this training. But safety experts are still concerned that life-saving information isn’t reaching smaller companies, especially in construction. From 2011 to 2015, less than one-third of construction workers were employed by firms with 10 or fewer employees. 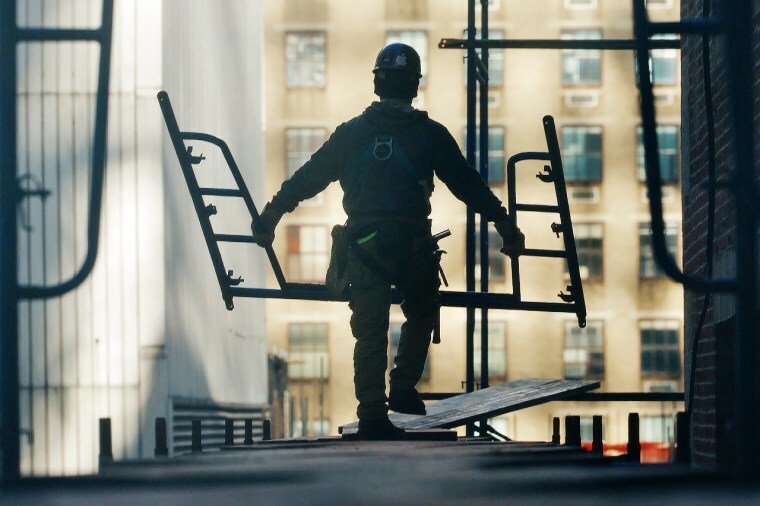 But this group accounted for over 60 percent of fall deaths in construction, according to the Center for Construction Research and Training, a nonprofit labor organization that participates in the fall-prevention campaign. Researchers say that Latino workers are more likely than white workers to die in falls. According to the Bureau of Labor Statistics, in 2017 falls caused nearly 26 percent of job-related deaths of Latinos, compared to about 16 percent of white fatalities. Among foreign-born Latinos, falls were responsible for nearly one in three workplace deaths. The leading cause of workplace deaths is transportation incidents. The way some employers escape with a slap on the wrist is disheartening to people like Mary Vivenzi, whose partner, Kevin Noah, 42, was killed in 2002 in a 50-foot fall while working on a retrofit project on the Golden Gate Bridge. A subsequent investigation revealed that Noah had been working on a dangerously narrow platform without scaffolding. Cal/OSHA, the federal agency’s state counterpart, recommended penalties for several serious violations. But the case was thrown out on appeal on a technicality: The citation issued by Cal/OSHA misstated the legal name of the employer, Shimmick Construction Co. Inc./Obayashi Corp. As a result, the company walked away without paying a cent. “What incentive is there for them to them to change if they’re getting away with everything?” she said. For workers who survive falls with serious injuries, recovery can be long and painful, and some don't make it.